Take a look at the bottom of this page and enjoy reading up on any of the others. The bottom two pages are just for Christmas. And more If I can get them on. "BSA Otter Number One fan" page Now updated, with a new build by one of the boys. I know this should be at the bottom of the page? But important Information has come to light so I thought you should read it first. Howard Fawkes of "Faber Frames has asked me to reassure you that he is still making Faber Motorcycle frames, But has a temporary glitch with his web site. It is being rebuilt,and should be back up within the month. Meanwhile you can use the new link page to contact him, or contact me and I will pass the message on to Howard.. Check out the updated Faber Mk1 "Otter" page video, and see what you are missing by not having one of these bikes to ride. Manx Classic Trial Report page on later now I am back. It is now the fifth year of bsaotter.com, and I can’t believe how the site has grown with the interest I have been shown by you guy’s. You well know that I always take on to many personal bike projects myself. And this year I will get most of them finished if I can, which will mean the build pages on these bikes can be all updated. I have been promised a hand for a couple of weeks if Brian can find time to come over from the IOM. This year is also a big year for Stuart over there, as he now has enough license points to be able to compete in the Southern Hundred and the Manx GP. And I have promised him a decent “Otter” to ride in the Manx Classic trial if he does well in the road racing events. The “Otter’ frame I started late on last year will get built has soon has I can, because this is not having a BSA engine fitted or a Triumph. More later. I have a load of New Pages to go up has soon as I can find time to sort them and publish them, some this week though. I know I promised more than I put on for Christmas but the fact is I ended up stripping and rebuilding the Bantam from the IOM engine, and trying to finish the New bantam engine build, along with spraying the boys van from the IOM has left me short of time. What I really want right now is a Holiday, but that wont happen. So The Bantam Build Page will be updated shortly, and hopefully now I have been forced into getting the engine together the bike will be finished a lot quicker. I know that a lot of you guy’s have “Otter” and BSA builds on the way. But don’t really want to publicize the fact due to security reasons. Well I have a page now to combat this problem! We will name the Page “The Mud Plugger’s Builds”. You can think of a name you want to use for your bike build. Or I will just use Mud Plugger “1” “2” and Three etc. So you can rely on me to keep your Identity private if you want to. But we would love to share your build. By the way Happy New Year Guy’s and Thanks. Here is a image of one story coming up this year, and a frame build that is a part of history if it had been built? well it will get built this year with luck. Just found this BSA "Otter" at play enjoy the sound. OK I have put the start of the Chris Leighfield story up and will continue it when I can. There is loads of emails that I need to go through to edit a lot more. Chris was a stickler for detail on every subject and a mind of information. so the mails to me were long. If you take a look at the "Project" on the Australian site you will see what I mean. I will contact the guy's from Aus Trials to see if they will let me use some of the material that Chris had written over the years. mind I would have to edit that or I would run out of space. First I should like to thank all you guy's for your support over the five years we have been running. The milestone is that we have now had over 100,000 views on this site quite an achievement in my mind. So it just spurs me on to make the site bigger and better. I have been asked to clarify if I can, the age of the Mick Mills BSA frames. Some seem to think they were Pre 1965? Well they were not, and the home work I have done on the subject points to the earliest date that they could have been thought of or even made would be 1972, and I feel that they were after this time, and not until Mick was possibly working for CCM. 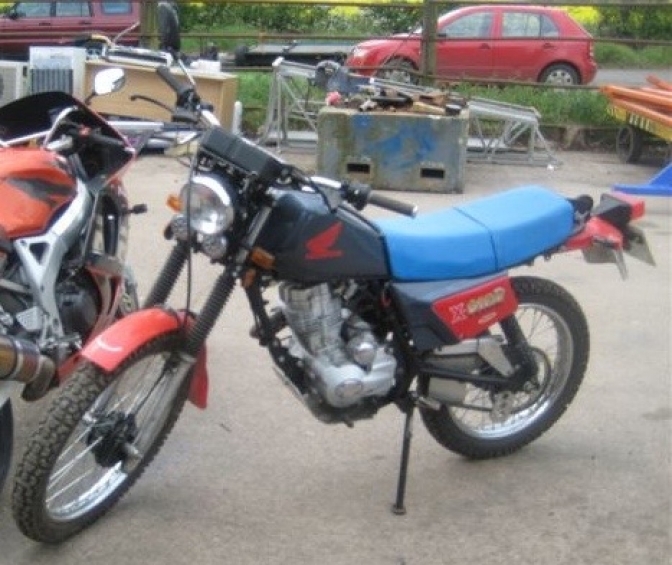 the Jerred Honda frame could have come before the BSA, and I think that this is probably the case. I will stand to be corrected , with facts but not swayed by gossip. I will update the Mick Mills Legend page later. I have been suffering a bout of influenza for a week and this has taken my eye of the ball to some extent, but I will get back on it now OK. This year seems to have started off with controversy. The Regulations for the Sammy Miller Championships ,has thrown a spanner into the works by stating that only manufactured frames with more than fifty in numbers will be allowed in the series. 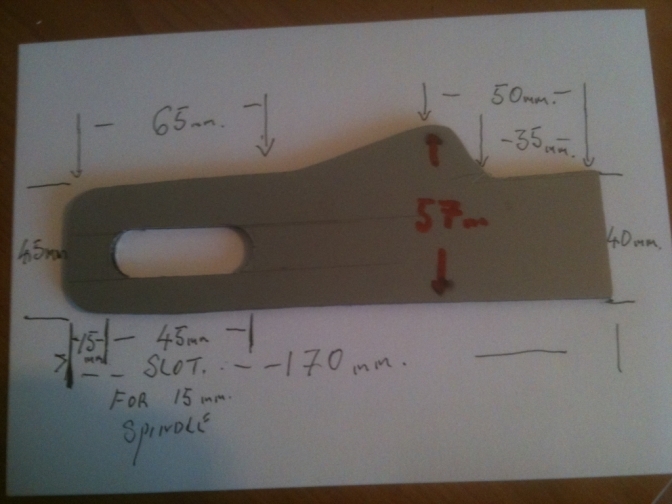 I straight away e-mailed the ACU for conformation on the BSA "Otter" frame, I await a reply. I will have to ask Howard for numbers but I think they will be short of the fifty. I thought this trials game was for fun on a Sunday morning and not a game of politics. If the ban is what I think it is about, this will just stop an old age pensioner enjoying what he does best, and has done all of his life. It also means the SCT "Mini Otter" is one of the bikes banned from the series. Shame, but we will not loose sleep over the situation. Shame we wont be seeing this at a SMC round. Taken at the Sam Cooper trial a couple of years back. But we may well see this???? or one like it. watch out for an update to this story on the "trials weekly News" page. OK we have a update on the Sammy Miller Championship. Looks like we May see Jon riding one of his creations after all, and guy's the "BSA Otter" is OK too. Document on the weekly trials news page. After what seems like weeks of hassle, with things like rules, that I see has just ruining the "Classic" trials scene. Its good to get back to something different. Well I spent most of yesterday reading the three , documents that I feel should be named books, that Pat Slinn has sent me. Interesting? well I just could not put them down until I had read all of them. You are in for a treat when I get to grips with trying to put the full content onto this site. "The Apprenticeship" story about BSA is so fascinating. Then we get onto Pat's time spent with the Racing Sports Motor-cycles Ducatis. The 1978 Hailwood TT win is an eye opener. But more so the following years(1979) attempt to win is more unbelievable in what actually happened. I know this is a trials site!! But don't forget this is Pat Slinn we are talking about , the site would not have been made if it was not for him. Anyway today I was just doing some homework like you do,and just got onto a web site about my old village. Looking at the pictures of there Church Fete, I Came up with this little Gem below. And the best part is that I know (I should do I went to school with him) the guy that owns it. The last time I saw the frame was on the Scorpion stand at "Earlscourt in 1964." I am just hoping I can find out the history of this bike . Interesting What. I have spent a couple of days, not feeling to good so thought I should make use of this time so are gently updating most pages of the site. You will just have to look down the list to see what I have added. The longer the titles get the longer the pages need to be, so it will be a constant battle to find more information about every page Old and New. OK, Brian and I have spent a Good week sorting out the "Mini Otter Super Cub Trials"
The page is now Updated, (fourteen down) and the little bike is running and riding just like I always wished for. It will now get its frame powder coated and other parts plated etc. If enough interest was show in a frame kit, I now would probably go ahead and get some made. So It has to be back in the saddle this next week so to speak. He has basicly given me an early start for this season. 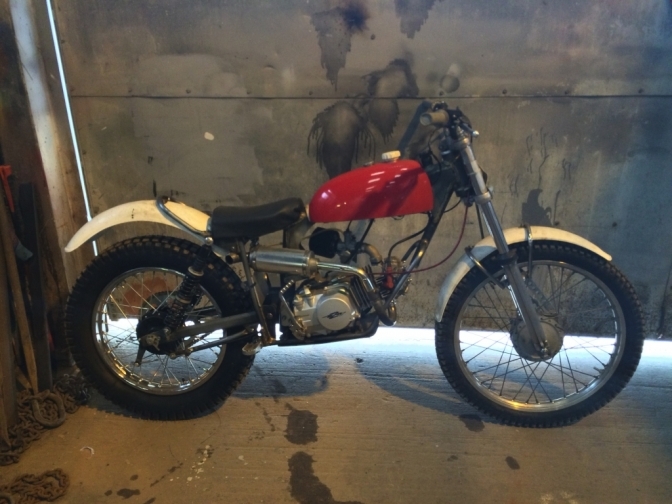 And getting the Super Cub Trials ( PrescOtter) as Brian has named the little bike sorted this is a boost too. In fact I have started yesterday by altering the steering head on the frame, and removed the front down tube so that I can position the engine into the right place to make up some engine plates, this done, I can fit the engine into position and fit the New duel front tubes. But this comes out slowly too. More updates this week Promise. One New page up, more probably tomorrow. Sunday the 8th March. I have updated several pages this last week ,and more will be done next week. I will try my best to keep the "Classic Trials Weekly" going again now and have week one of a two week page on now. 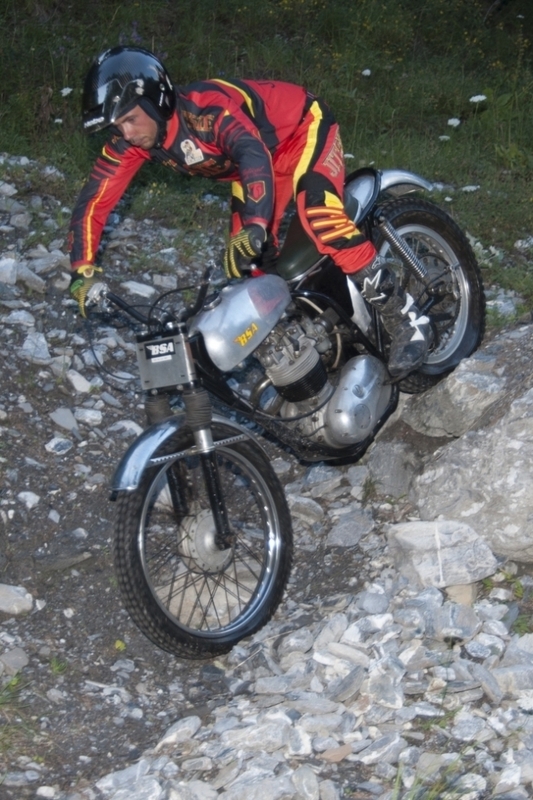 The pictures of the superb continental Classic trials machines that were on that page before are destined for a new page shortly along with more machines to the same standard. Interesting page even to me!! Three new pages up, more later. I hope you guy's have all got your "Otter's" in fine fettle? Why? because there is light at the end of a tunnel that may mean we can run our Own Trials Series, and maybe latter this year. 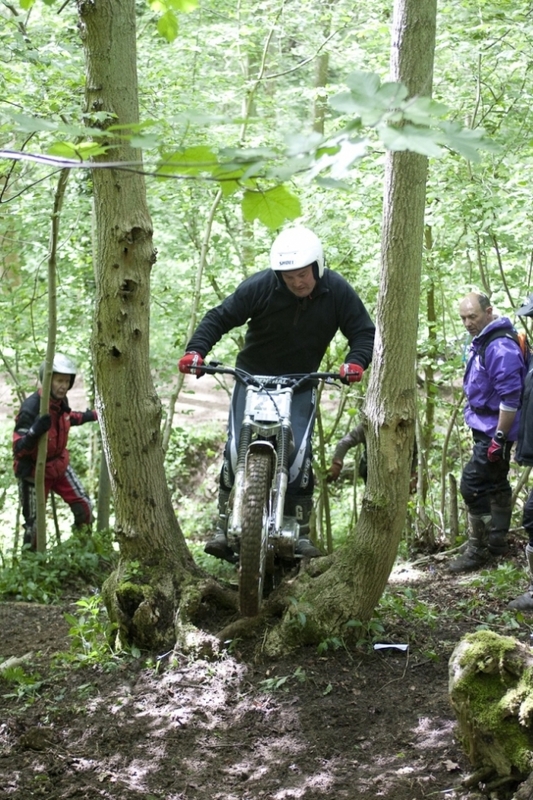 we will also run leisurely Practice days as well and easy sections for any elderly bike and rider. More News about this next week. Hands up who would like to see another "Express" trial!!!. The Super Cub saga seems to keep on rolling this year. 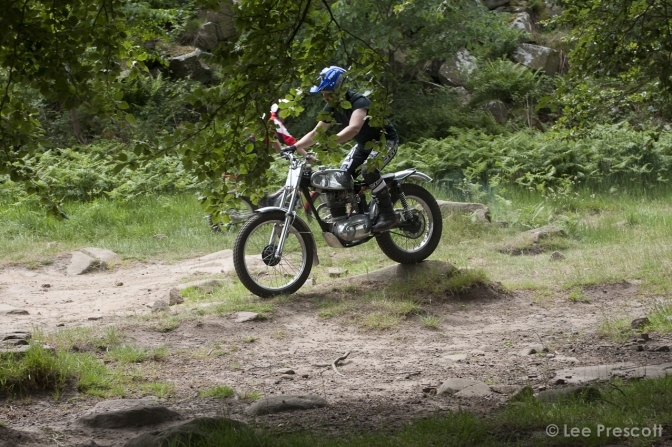 Jon Bliss rode his SC at the week end in the Twinshock trial, on the hard route and at the age of 72 did very well. This all done after the trial, has there was Press at the event, and a fuss in front of them would not have been good for the sponsors. But we will not give up on the Super Cub Trials. If the land we need to look at is good we will run trials for this class of machine along with the Proper "Otter's". WOW that was a week on TC! You know I don't contribute to the forum very often now a days. But I was fired up on Monday, and needed a outlet. Well has it done any good I don't know? but a few more people now know that we on the "Otter" site mean business when we feel a need. for justice. We will continue to monitor the outcome. But he or his brother will be later going to live in the Isle Off Man, where they take no notice of such nonsense. "Take these chains from my Heart". or just a "Ghost from the past"? you decide. Look I have neglected this site for the last week, while I wound myself up on Trials Central? Well I don't know why either! It may have done some good for the campaign to get the little Mini"Otter" recognised in a better light, only time will tell. Anyway I have loads of New material, for more pages, including another Justyn Norek, report and test. And have rested the Lo-Cu-ScT, build until the flack clears, then I will decide what to do with the project. I nearly have the engine reassembled for the SQ framed bike, and also the engine for the Ellis replica bike. So updates on these pages shortly. Been short of time this week, I have managed to get the B25 engine ready to put back into the frame, and fitted the new clutch. Meanwhile I have had one of them e-bay moments that you get now and again, I bought another TY Yamaha front wheel, but when it arrived it was the wrong one TY Mono, so the back and forth messages that you have to send with e-bay, finally got me sending the wheel that arrived to Scotland ,and me waiting in today for the wheel I purchased, anyway. So mailing a friend to print it for me I mentioned that I was try to level the garden ready for a conservatory. Pete and his two guys have three days next week while waiting for materials. was the reply. So been digging footings etc, and barrowing concrete for three days, only updating this now waiting for the skip to be changed. What a lovely day though. Anyway this is my excuse for not spending more time on the site. PS, and Stuart hit the Café racing at Scarborough at the week end. Well Back relaxing today so I thought I better put some effort into the site, I have had loads of mails this week and am just getting around to reply to them. New material has been coming in for future pages. and updates on others. I am now working on some objects for Rio next year, but will get my priorities right and continue with the bike projects. Just put the page on about my old outfit XJO 277and will continue later Thanks to Deryk again for his help and pictures. OK check out the weekly column and you will see why I have failed to show my presence for a while. I do now have a very informed coverage you know. Sun 10th. William Dunlop and Guy Martin each clinch two victories in the Cookstown 100 road races on Saturday. Dunlop won both Supersport 600 events while English rider Martin took the honours in the two Superbike races. Michael Dunlop also enjoyed a win with victory in the Supertwins race. There will be extended highlights from the meeting on Monday, 11 May at 22:45 BST at BBC1 Northern Ireland. Sorry, but no idea of the Sky channel number. Short obituary on Geoff Duke on BBC Radio 4' prog Last Word. Starts at 14.36 into the prog. Worth a listen. Thanks Jim, keep um coming. I do love my readers. PS D L won the six days they tell me. Just found what started me on this journey, Thanks Sam. And I still Love my Mk 1 and Mk2. With the thought of going back to basics? 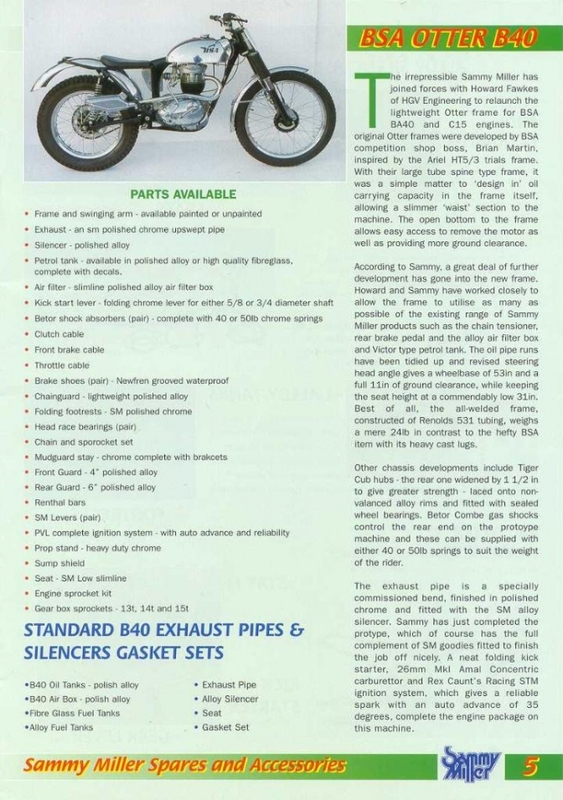 This is probably the guide we need to build a BSA "Otter" replica. Including the MK1-2 Faber Frame. I will speak to Howard about the availability of the Mk 1 Frame. 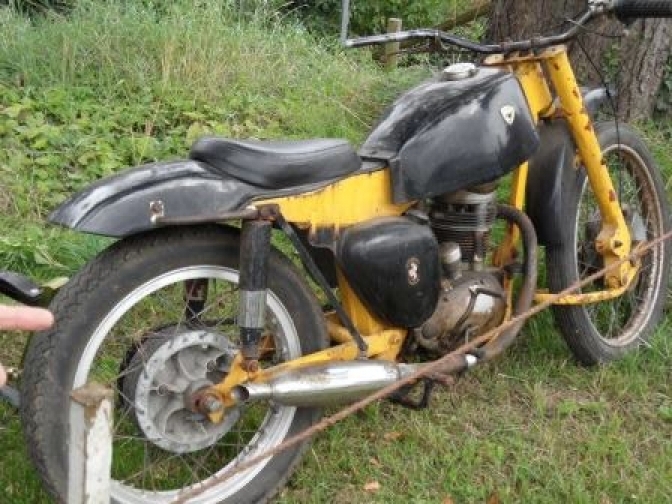 It seems the Sam Cooper Union Jack trial has this year run out of steam as far has "British' BIG bikes are concerned ,with only FOUR entries of this Classic type of machine competing out of an entry of 76. The times they are a changing?? The light that shines though is,that , Jon Griffin is riding his ground up built 5TA engined Triumph"Otter" and is a very proud man to be riding this bike that he has built, and has even had Rugby shirts embroidered with the "Otter" emblem, and headstock badges printed. Good Man. I have asked Jon if there is any for sale, so if you would like one watch this space. He has also suggested that anyone that has a New or Old "Otter" build that lets me publish there story is entitled to a FREE "Otter" badge, and I may chip in with a shirt too. 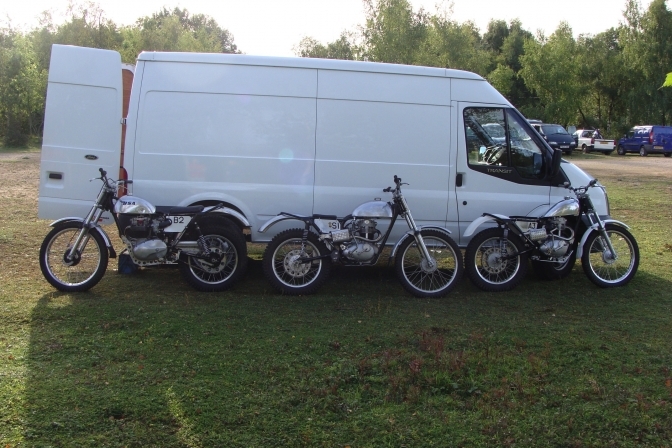 Anyway here is a photo from 2008 when there were plenty of big "Brit" bikes competing. This superb shot by Lee Prescott. This is Dave Dawson ex "BSA Otter" owner. riding the Ariel HT5 that him and dad Pete had just rebuilt with New frame etc that Dave always did with all of his builds. The bike was ridden in the IOM two years ago by Dave Wood whose "Otter" dropped a valve at the second set of sections. 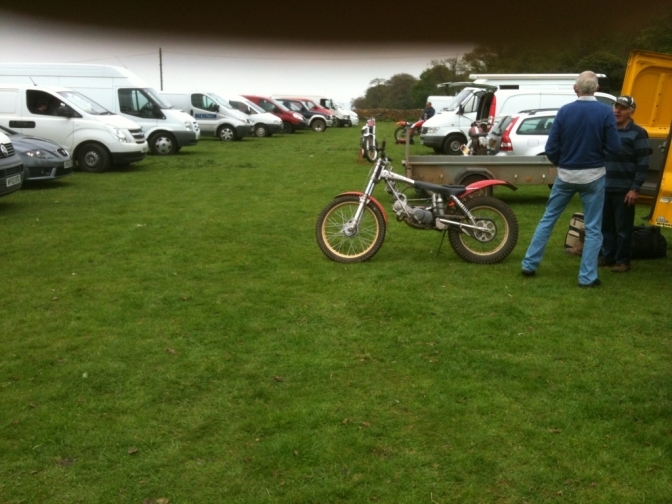 fortunately for Dave, Steve Thompson the new owner had this bike in the van as a spare,Yes I know.Spare. Unfortunately for the Classic trials sport Dave Dawson has now left the sport and is riding very expensive road cycles. 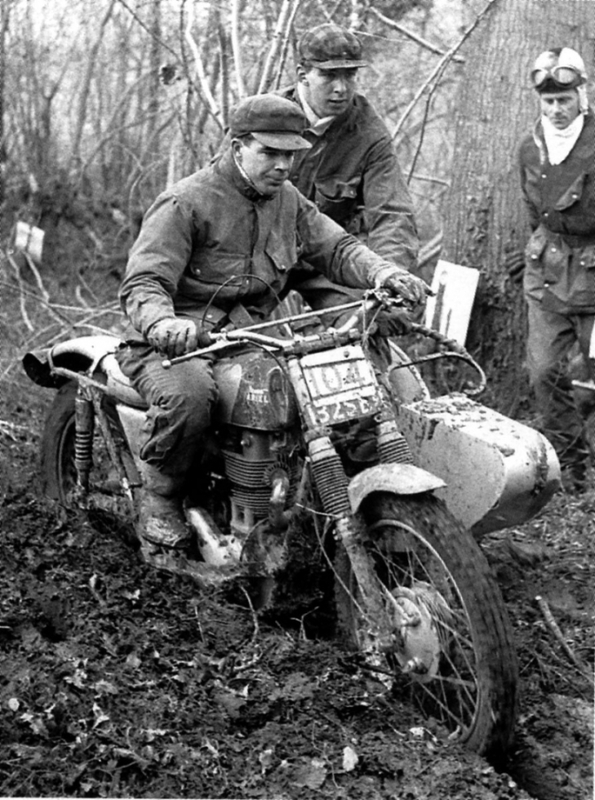 This is Pete Kirby 350 BSA ,2008 Sam Cooper Trial, at the same fence, sorry section. Pete used to work in the Comp shop at BSA and the engines he builds are second to non and the superb belt drive clutches that he produces. Just updated the Ariel "Otter" HT 5 page. which now includes the Noriel information. I will give more information about the bike later when you have had a chance to read the report on ORR-e. Here is a photo of the bike, as a clue. I will set up a page for this RE Crusader later. OK. 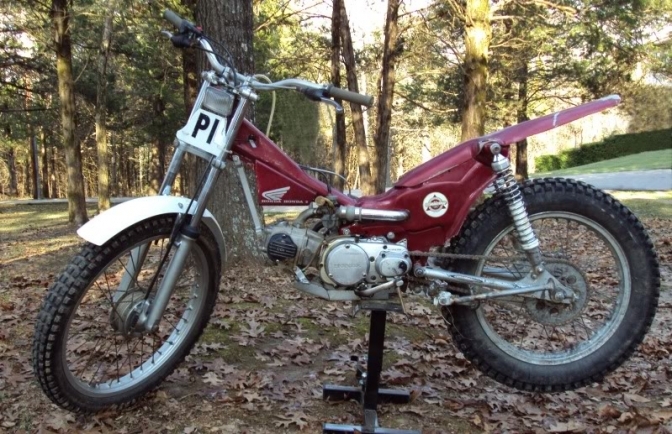 It looks like Deryk ran out of Space on ORR-e 23 so here is the story on BSA "Otter" 77. Ivan Lintin won the lightweight TT??? So we have followed Ivan with his escapades over the last few seasons of racing, and I said if the boy can wheelie an old bike like that, he is bound to become a Star, and he did. Well done mate you deserve your success. Yes we still have the Matchless and when I get round to it I am going to build a lighter frame for the bike. The engine is apart waiting for a new big end to be fitted and now sports a alloy barrel. Well two container loads have gone off to Rio, for the Olympic trial(Showjumps) but still I have a busy week helping to get a "Big Screen" trailer built to be used for next weeks Wimbledon Tennis. Then I hope to find time to get back to the bikes and the website. In the mean time I am laying up another Glass Fibre tank so that I have a green (New) one to test out a project that Eddie Bocquillon and I are working on, This is for ASPEN fuel. I will be doing a full descriptive page on the subject shortly, but the gist is that you can use this fuel in ordinary GF tanks without any trouble, and if you consider the now new price for a alloy tank, this makes the extra cost of the fuel seem like a snip for the amount we trials riders actually use. And not only that but it takes care of our carbs seals etc with out the trouble we get with the new pump fuel we have to use today. More later on the ASPEN page. 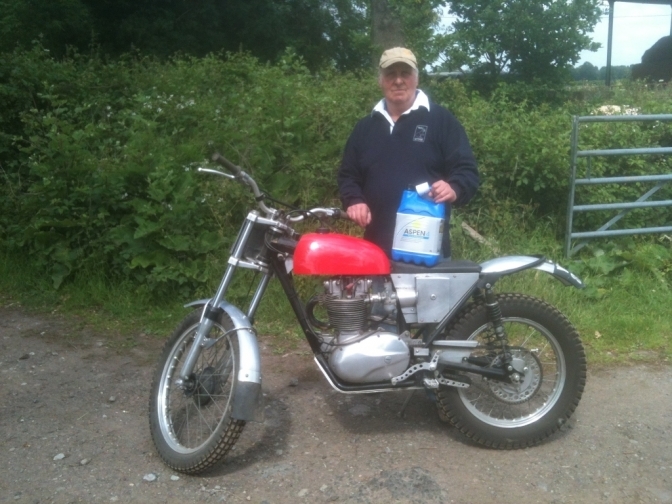 This is a picture of three Stars "Bessie BSA Otter" Jon's superb "Otter" Rugby Shirt (you know you want one) and ASPEN fuel of the future for "Classic Trials Bikes". I have put Dave's new page on just at the right time has there is now discussion to if the twin-shock machines are not going the same way has Pre 65, in that they are having untold amounts of money thrown at them. 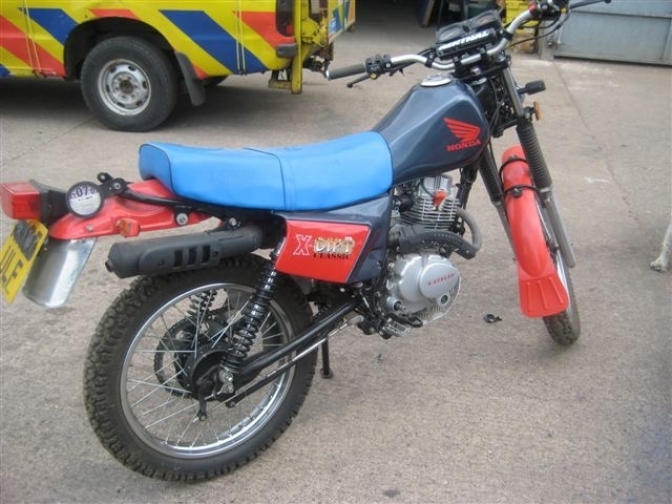 I have updated Daves other Bultaco rebuild page and you can see how much he has spent there to get smart and workman like bikes but trying to keep the cost down. Richard Clarke asked me what I have in the pipeline. I am working closely with Eddie from Aspen , to find other reasons to use the fuel the Green thing is the major benefit? Look what got me interested is the fact that I can use the fuel in a polyester tank, and I must say Eddie contacted me and not the other way around. I have just made a new tank so that is still green (New) and will be conducting tests on this, and other things. He advises not to use the two stroke mix in bikes as it may be the wrong ratio, but to use the four stroke fuel and mix your own. I will be putting the starter page up shortly. So that will be another page . Two bike tests and another “Cotswold” BSA (Hubbo) build is about to go up. and another Dave Wood build. I am about to build me another “Mini Otter” for me to ride, and has you say get some of the others finished. Brian from the IOM is over for a while shortly so this should help, well he persuades me to get on with the job. Glad you have the dust sheets back off, don’t put them back on until the bike is done. But I have waited decades for a picture of the "Banbury Two" to turn up. We just did not take photos then! But Deryk has come up with the goods like I knew he would, what a guy. 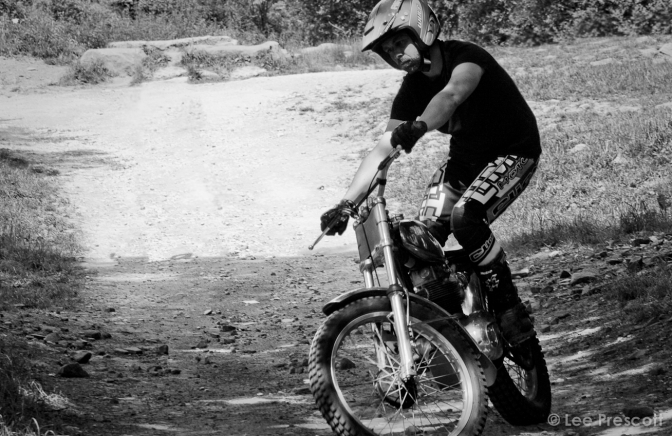 And just think of the trials bike/rider images he has from the past, you must sign up to ORR-e. Anyway here it is there may be more. And I now will be able to do the story. "Banbury Dan" Shorey and AKA Charlie Prescott 499 Ariel HS trials outfit, Kendell Chair, motor tuned by Seth Ellis. Photo, Offroad Archives. Deryk has just told me the trial was the 1964 Kickham in March of that year and the photographer was the late Gordon Francis. Back on the site tomorrow after a long week!!!! That has been a long week Phew. Brian is over from the IOM. To try and catch up with the bike builds. So we have been leaving for the workshop at ten o'clock every morning. He has worked on "Bessie" to sort the carb, long job to remove it, though update on that later. along with the Blue C15 T.
The priority has been to get a new exhaust system built for the SCT, and to make all of the parts for the frame for the second. My job. I have had to work on very urgent GF moulds for concrete street seating and this has taken me away from helping Brian, but hope to do a few days working with him until he fly's back on Thursday. Here is a couple of pictures of the new exhaust. Silencer end to be packed. 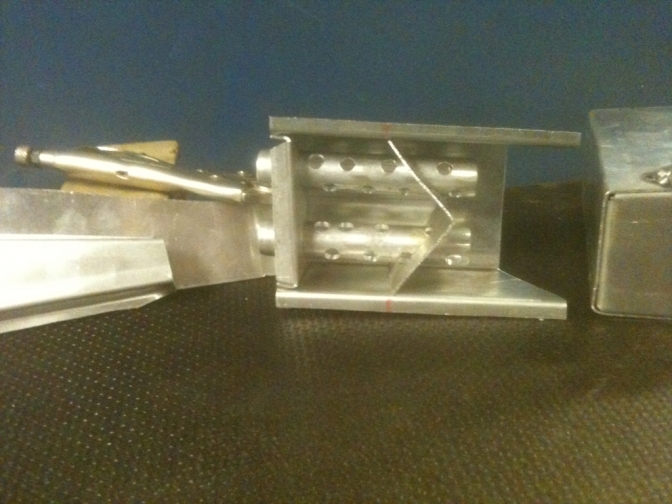 These are the parts so far, we will tack them up today. The exhaust is now complete and works very well. Update on "Mini Otter" page. And I have been tying with the Idea to make my own as you well know so they will now get made. The SCT >2 Page is going to be updated tomorrow now I have most parts for the frame made. And I will try and put the New Pages I have promised on. 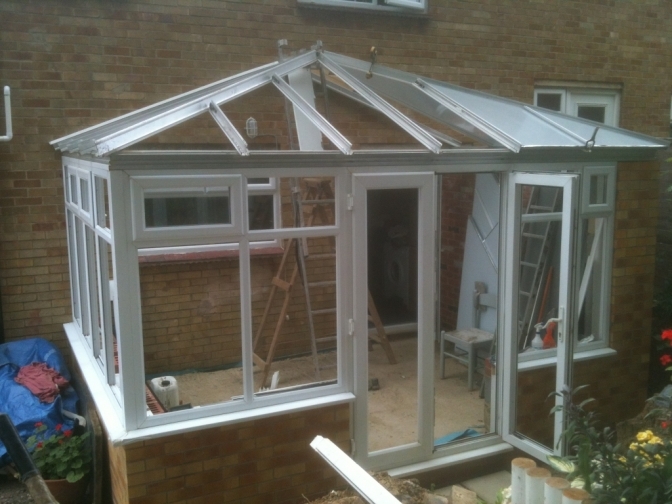 I have spent the last two weeks trying to complete the build of my conservatory. On my own, not easy. I was given it second hand for Free, to save scraping it. And the rebuild has been a lot like rebuilding a Barn find bike. But Long story, I have given myself until Sunday to get the place water tight. And tonight it is precipitating, so I hope it clears up tomorrow . So while it is raining I can catch up on some pages. But I nearly have my New studio for photographing the bikes!!! OK a couple of new pages started. And after finding out about Peter Gaunts new ride, the LO-CUst build is back on. There Already is a story brewing about the LACK of practice for Newcomers In the MGP. Do they actually want the Manx GP to continue or is It Now only a "Classic TT". This is good but how do we get Newcomers to the Island to learn the coarse . We actually need another event for these riders in the Summer ? but like that is going to happen??NO. Report on the Classic trial and the Manx -Classic TT Later. I have had a couple of weeks to reflect on my current situation since I am back from the IOM. And have now set my heart to building me a workable workshop at home, to make life easier and to stop the sixty mile round trip every day to my current workshop. It will take time but I now will do it to make life for me bearable with my illness situation. Perhaps then I can have one bike at a time back here and get to finish them. Meanwhile I have noticed a lull in the current Classic Trials activity on most of the current web sites. This seems to happen now and again. I don't know why?? But looking at the state of affairs at the entry to the Manx Classic trial. Perhaps everyone has now purchased or built there "Triumph Cub" or "Drayton Bantam". And the "Twinshock Boys and girls seemed to have settled on the "Yamaha TY 175" as I said last year. or if not they have Purchased one of the ever increasing "Fantic" models. With only three bikes that I classed as "Pre65" in the event I feel the prefix should now be dropped from this event too and It should just be named the "Manx Classic Trial"? Well I spose the current crop of New replica bikes could be classed as Classic? Here is a picture from a guy that loves building Classic BSA C15 fourstroke bikes. Mr Vroom, from China as asked the best way to get into trials over there with the bikes they have available. Here are a couple of pictures of my Trail bike to give you a start. You can see the footrest position is back from original Mr Vroom. Lower front mudguard, Renthal bars, gearbox sprocket size down to ten teeth. Battery for starter ,inboard,and trials tyres now fitted. converted to 150cc. Super litlle bike and all for £675, New in 2005.
the page on his MK3 Faber "Otter" build. More pages now updated are Scottish Pre65 Two day BSA Otters. IOM Otters. Spanish Otters. The French Connection. Kerry Kebuna BSA Otter. Dave Wood Mk3 Otter Build. Phil Ives Tale of the Otter. Deryk Wylde of ORR, The Scottish Pre65 "Otter's",Again, and more. and expect new pages this weekend. Check out the River "Otter" page. for a once in a lifetime experience, one of the things to do? Walwin page updated. "Bessie" BSA Otter page too. Can you name the "Three Old Men"? I thought I better update you to what is happening! There are a few that are still to be attended too but the material has to be edited. Some of the build pages are about to get this treatment, as some have crept a bit nearer completion. It just seems to take me longer now-a-days. the Old age thing. And probably like a fool? well you know me now? I have started another build! Well I just need to do this one. If you remember four years ago I gave grandson George the last John Draper BSA for his first birthday. Well then grandson number two came along Edward "Eddie", now two ,but like going on five, and can do most things that his elder brother can do. So I said to his mum watching them play, Looks like I should build a bike, a "Replica" of the J Draper BSA C15-B40 for "Eddie" to stop any squabbles later in life. He was having a "Foster" "Otter" but I just cant find one. So the plot has been started and yes I am about to do a page on "The Replica John Draper "Cotswold" BSA". On You-tube, here is part one for you. There are photos of Mike's Bikes in the Gallery, But Now he has the vids running, we will do a Page for his bikes so that you have an easier link. OK ,here is part two of Mike's frame converting Video, It is a shame that Mike could not keep the camera rolling for the cutting and dressing parts to this conversion because that is where most mistakes are made. But these give you a good insight into what you need to build a frame from scratch, or convert one like Mike. 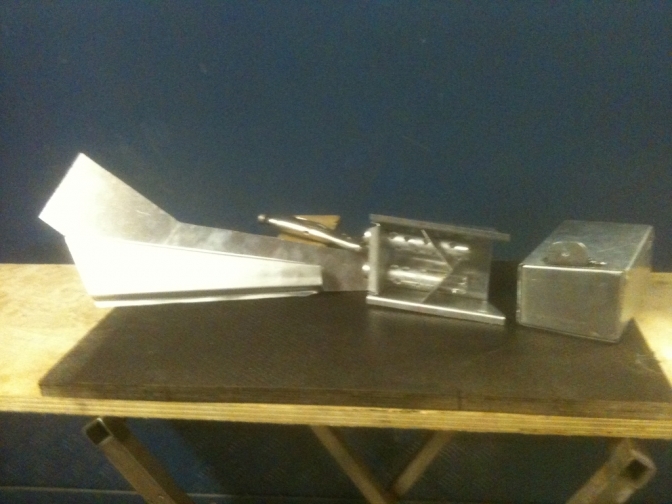 I would need another jig to make sure that the steering head is still vertical in its plane. But Mick Andrews has ridden Mikes bikes so they must steer OK .
Cant wait for part Three. Mike Waller "Britannia Motorcycles" page later. Just pressing on with the pages for Christmas. Still not heard from the Scottish Two Day guys about the eligibility for the Mk one Faber frames. No news is good news hopefully. Howard has mailed me to say that he is now on with production of the last batch of orders though. He has suffered like us all when we start to get old,and is recovering with a bad back,and this did delay production. He is still very much a hand on guy and likes to do the builds him self. and that is where the added professionalism to the build of these frames come from. Anyway more this week and I will put some of the old Christmas stuff back on. This week we have been told that Guy Martin is going to be guest of Honer at the Scottish two day Classic Trial The so called (Pre65). 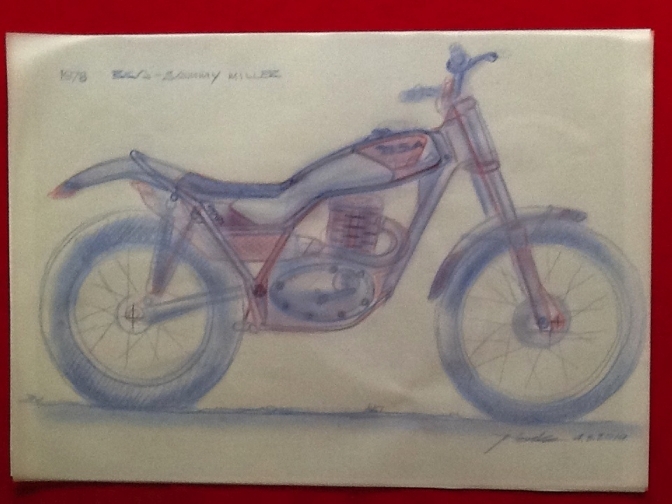 So we have been speculating that there may be a couple of films made about an "Ariel" bike being built up, and another about Guy getting tuition for his ride in the trial. This is all over on Trials Central. So I thought I would have a bit of fun with some photos we have as it is Christmas. This Guy is practising, but is it Guy? or someone from another planet? Just an emerging image? "May the Force Appear? is that R1 340 coming through behind? More interest in the "Mini Otter" project keeps coming in, I will get the second frame finished after Christmas there is a couple of design isues that need to be sorted out ,that would make a production frame simpler to make, without altering the image and the ride. I also will try and get the Lo-cu-st version finished to see how they then compare. Firstly, a Very Merry Christmas to all of you who have put up with me over the last five years, and any New faces that may have stumbled upon this site just chilling over this holiday period. The old hands to the site know me by now, I do tend to rant a bit at times if I get irate about the subject that is current, and I don't like what is going on. 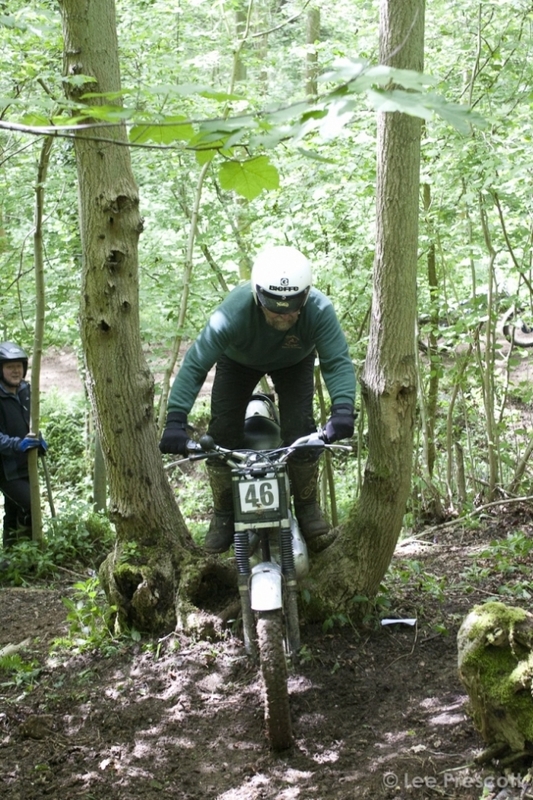 I do try to encourage as many has I can into the sport of "Classic Trials Riding" in all shapes and forms of the sport. Perhaps the ranting does help sometimes? I don't know. But I will keep on trying while I can. as this can only help or hinder other people trying the same thing. I must say I am always open to ideas from anyone else, and all you have to do is mail me. This has then led to pages in the past, that are very interesting even to me, So don't be shy, will you. I love doing the pages for someone's project bike build, and It does not matter what, there is always some interest in the build, and ideas that have never be tried before, and most of the craftsmanship in these builds are exceptional. Tests on bikes, I am going to try more of in the coming year,for it is always interesting from someone's appreciation of there build and the comments about it . Take Dave Wood for instance, what he sends me is first class, with the explanation of the full build and then the problems he has with that specific machine to get it to the way he feels is right for the way he rides. Finally to prove that not everything is black and white in some images that you see on-line the two photos below prove it. I will never use any photos that I think would not portray what we are seeing without telling you that was the case. Thanks again for your support, Regards Charlie. More Later. and I hope to get some more pages on in the next couple of days.